When it comes to staying savvy in Bangkok Maitria Hotel Sukhumvit 18 – A Chatrium Collection certainly lives up to the property’s motto of “Stay Savvy” by providing the very best standards of first-class service and facilities in the heart of the capital’s famous Sukhumvit Road. 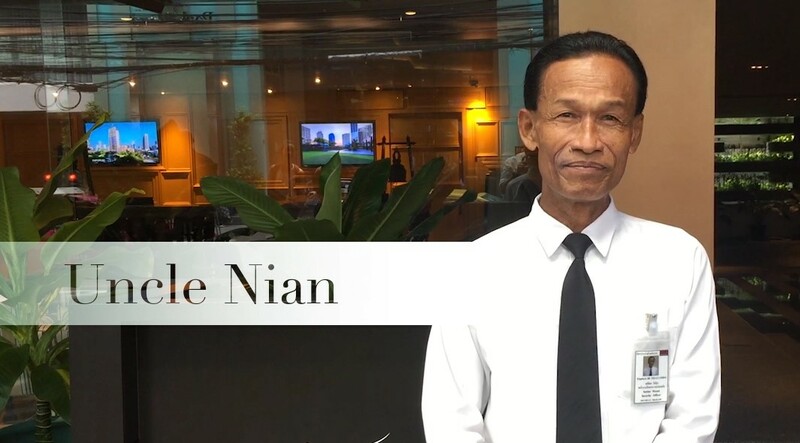 Every single member of staff puts their hearts and souls into ensuring each and every guest enjoys a savvy stay and this famous Thai hospitality is exemplified by one of the most popular members of the Maitria team, Uncle Nian. Uncle Nian (or Loong Nian in Thai) is part of the hotel’s security team and has worked at Maitria since it opened three years ago. He is often the first person you meet when you arrive after a long and tiring journey and his warm and sincere welcome, beaming smile and eagerness to be of assistance in any way possible is just what you need to make you feel relaxed and ready for your “Stay Savvy” time at Maitria. 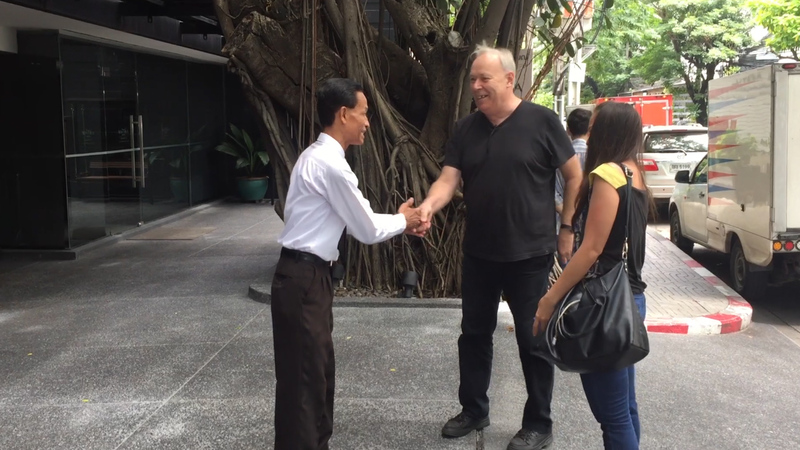 Uncle Nian is a true symbol of Maitria and he goes above and beyond the call of duty to offer guests a “Stay Savvy” experience during their Bangkok trip. Apart from his duties as a security officer, constantly making sure that everything is as it should be around the hotel, he is also part concierge and part receptionist, assisting guests with their luggage and check-in, hailing taxis and offering all types of invaluable information about the local area by pointing out the best places to dine, shop and visit. Uncle Nian is a firm favorite with Maitria Hotel Sukhumvit 18 – A Chatrium Collection’s guests and in fact some choose to stay specifically because of him. They love him because of his keenness to help in any way he can and his genuine friendliness and service mind makes them feel right at home. Uncle Nian has a fantastic memory and can often remember the smallest details of his guests, asking after their families and how their careers are going. Uncle Nian is a much loved and respected member of the Maitria team and both his colleagues and guests adore him, as he just brings joy to the hearts of everybody he meets and is a true example why your time at Maitria Hotel Sukhumvit 18 – A Chatrium Collection will be such a magical and memorable one and a genuine “Stay Savvy” vacation. Next PostNext Chatrium Residence Sathon Makes Bangkok Beautiful!